Home Carolynne Poetic post-punk: REVIEW -‘Dogrel’ by Fontaines D.C.
Poetic post-punk: REVIEW -‘Dogrel’ by Fontaines D.C. Following their appearance as one of the most hyped bands at this year’s SXSW festival, Fontaines D.C. have now unleashed their debut album Dogrel. After supporting the likes of IDLES and Shame on tour last year, they’re now standing in the spotlight and flying the flag for Irish post-punk. 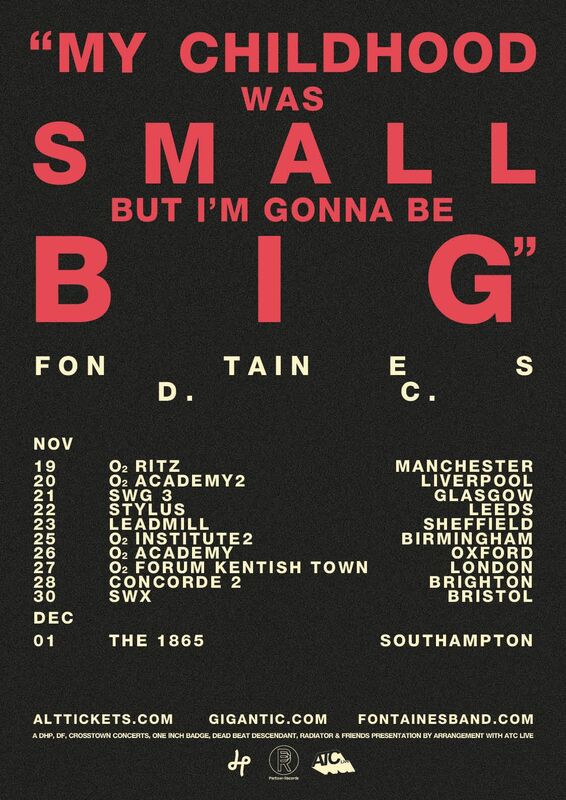 First of all, I think it’s worth noting the very fact that Fontaines D.C. have managed to grab my attention shows just how gripping and impactful this band’s music is. I’m certainly not your stereotypical Fontaines D.C. fan, and yet this album is likely to make it into my top 10 of the year. The brilliant title, ‘Dogrel’, is evocative of the whole record, as it’s a type of old Irish poetry that includes lots of repetition, a sense of humour, and reference to working class struggles. The term can also can be used to describe something that’s really bad, which shows that the band don’t take themselves too seriously. This is reflected in the simplicity of the choruses on tracks such as ‘Sha Sha Sha’, as other bands striving for critical acclaim would probably be reluctant to include a track like this. Most of the tracks on Dogrel are short but sweet, such as the opener ‘Big’. The first lines of the album “Dublin in the rain is mine / A pregnant city with a catholic mind” boldly proclaims their Irishness and addresses the tension in modern day Ireland between the progressive values & creativity of the country’s youth, in contrast with a deeply rooted religious heritage. The track is also commenting on the historical English occupation of Ireland and the potential for new forms of exploitation in D.C. (Dublin City). Dubliners by James Joyce was one of the literary inspirations behind this record, and it shows on ‘Sha Sha Sha’ when frontman Grian Chatten sings “There’s always gonna be tears”, drawing parallels to the sense of being trapped in a situation that Joyce portrays in the collection of short stories. Like Dubliners, this album feels like a series of vignettes and the lyrics have a story-telling quality. 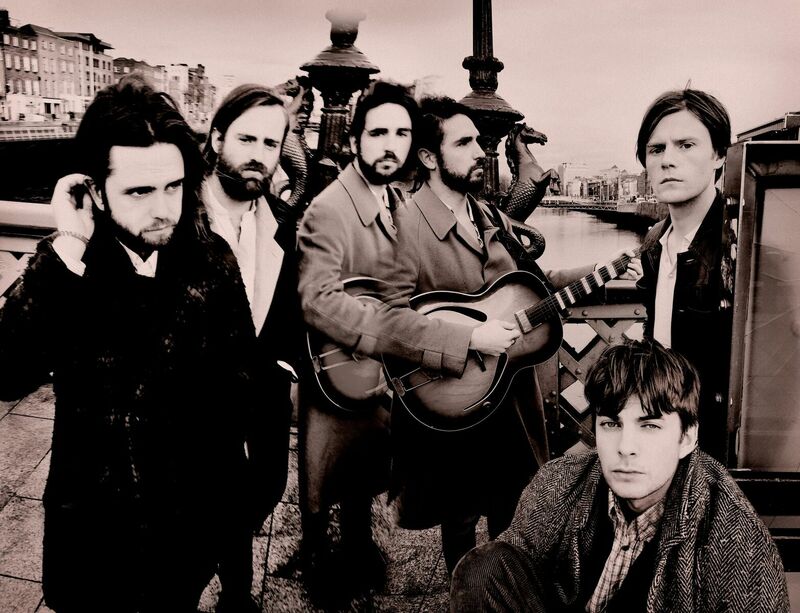 What I adore about Fontaines D.C. is that Grian’s vocals are remarkably clear, he isn’t grating to listen to unlike a lot of post-punk frontmen and the clarity of his voice helps to convey exactly what they want to say. One of my favourite tracks on the album is ‘Too Real’. It features commentary on the culture of ‘millennial bashing’ in the line: “None can pull the passion loose from youth’s ungrateful hands”, accompanied by a sound effect on the lead guitar that sounds like thunder and lightning being summoned over Dublin. It’s remarkable that a sound like this can be achieved by simply sliding a glass bottle across the strings! The drums on this track sound almost tribal and the whole song builds and builds furiously. It’s untamed and it sounds glorious. The rapturous guitar effect continues on ‘Hurricane Laughter’ and religious themes are woven into the record once again with references to confession. This song feels more philosophical and appears to comment on our inability to function without the Internet, as Grian repeatedly sings “And there is no connection available”. As well as conforming to dogrel characteristics, the repetition of this line serves the purpose of changing its meaning and encourages the listener to think more deeply about what is being said. When I was listening to it, my mind shifted from thinking about our dependence on technology, to the dying art of conversation. This is also addressed on ‘Liberty Belle’ when he sings “He’s just very very tired of having that same old boring conversation”. ‘Roy’s Tune’ is a beautiful, stand-out track that comments on life in rural Ireland. The line “there is no warning and there is no future” sums up the feeling of being in limbo that comes with living in the countryside, which feels especially relevant to borderland communities who are worried about the impact of Brexit. Fontaines D.C. are often pigeonholed as an Irish band, as though their music only addresses Ireland’s history and current political climate, but this couldn’t be further from the case. Dogrel is the sound of a band processing feelings of hopelessness & anger through poetry and situating these feelings within the global context of declining empathy and increasing exploitation. It’s a fantastic, vital debut album.